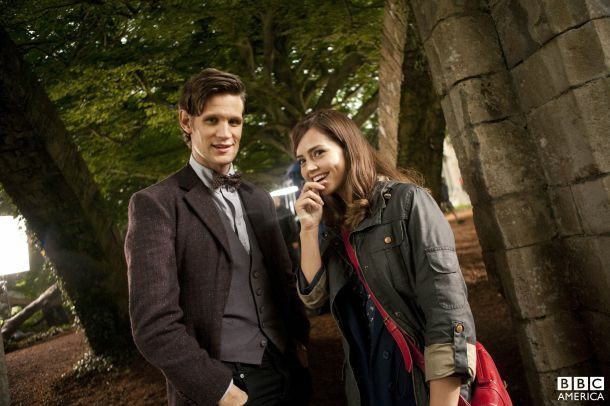 BBC and BBC America have released a new behind-the-scenes photo of Jenna-Louise Coleman with Matt Smith on location for the latest season of Doctor Who. It's the first official look at The Doctor and his next companion "Clara" together. As previously announced, Coleman will be replacing Karen Gillan and Arthur Darvill as The Doctor's companion called Clara. However, Gillan and Darvill have been given a departure storyline, which will air in episode five of Season 7. Coleman will make her debut in the 2012 Christmas special.